Once again, Tommy Vercetti is on top of the world. 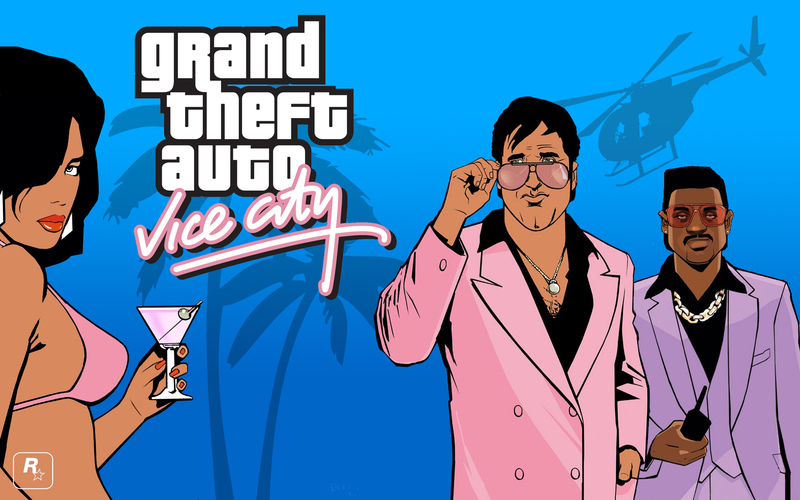 Vice City would get my vote as well — even though most GTA games are quite good, nothing beats the 80s Scarface-esque rise-to-fame. Hell, I still own the box set for the game’s soundtrack. Interesting to see the 2D top-down PS1 original snag a couple votes, twice as many as the massively popular GTA IV. This Week’s Poll: This past weekend saw the release of not one, but TWO new films related to drinking: The World’s End and Drinking Buddies. While both of these take the comedic route, I opted for a more serious question this week. Pick Two: What is the best movie about alcoholism? I drew up a preliminary list of classics and modern takes alike, but please let me know if I am missing any important candidates. Great poll results, I thought GTA Vice City would get the top spot, although my favourite GTA game is San Andreas, that game was huge. GTA III is still a really good game as well, although it looks very basic now. I must admit I was a little underwhelmed by GTA IV, it was ok, but the story wasn’t a patch on any of its predecessors. I thought San Andreas would have a stronger showing myself. I really enjoyed that one back in the day, but at the same time it felt almost *too* big. I remember getting frustrated with missions that forced you to travel all the way across its huge map. For me GTA 3 is the best of the series, it was an incredible jump in gaming and its significance for me is still felt. Thought GTA 4 was very poor and didn’t even come close to the quality of the three GTA 3 games. GTA III was definitely groundbreaking back in its day. I remember being blown away when it was released. I don’t know if it holds up as well today, but it was a blast back then. I went for the first GTA. Love that style of game. Sure it’s evolved, but had hours of fun with that. Cool, I was wondering who the GTA voters were. I liked the PS1 games a lot, too, back in the day, even the London 1969 expansion. The newer 2D one, Chinatown Wars, is also pretty good. Interesting poll, though I’m not much of a GTA fan. For the Alcoholism Film Poll. I’m going with ‘Days of Wine And Roses’ and opting for an “Other”. Since ‘Leaving Las Vegas” is flawed in its execution. Having had relatives who were alcoholic. Those that are stick with what they like. Be it beer, wine or alcohol. There is no variety as the “Supermarket Sweep” scene with Nicholas Cage depicted. Hence, I’m going with ‘Mrs. Parker and the Vicious Circle’ and Jennifer Jason Leigh’s bravura performance as erudite, poetic and scathing critic. And closet lush. Hi Jack, was hoping you would chime in. That’s a good point about the supermarket scene in Leaving Las Vegas — perhaps not that realistic, but memorable no doubt. Thanks for the heads up on Mrs. Parker & the Vicious Circle, that’s one I have never heard of. Movies about alcoholism, I’m going with Leaving Las Vegas and Days of Wines and Roses, great perfomances. My own top 10 might include: Cat on a Hot Tin Roof, or Withnail and I.
Oooh, good call on Cat on a Hot Tin Roof. Love that film. I have Withnail & I coming up soon for my project — can’t wait to finally check that out!